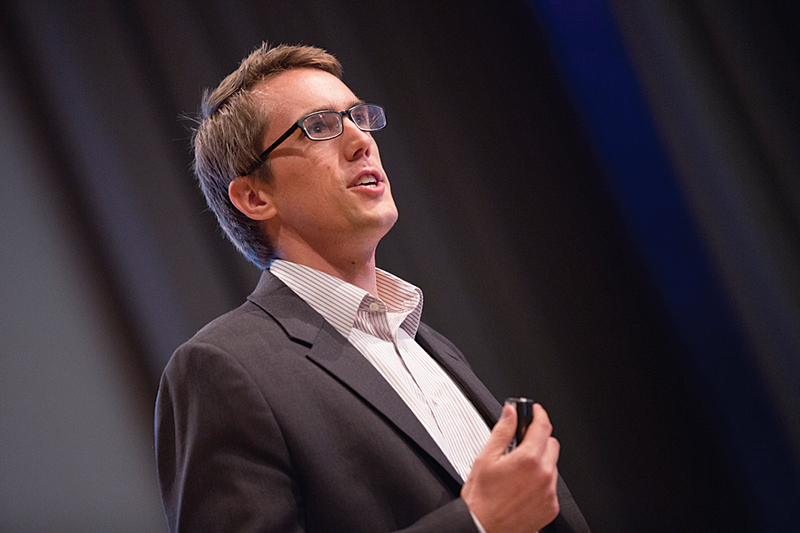 "GIS is in everything you do and just changing how we live," said Steve Ressler, founder and CEO of GovLoop. The more than 100 CIOs from start-ups, businesses, and government who were invited to the 2014 Esri Public Sector CIO Summit learned how GIS solves real problems in ways that matter. The event was held January 15–16, 2014, at Esri's Redlands headquarters. Traditionally the CIO was the chief information officer for an organization. This was the person who managed the computer systems and worked on improving clerical productivity. More often these days, the I in CIO stands for innovation rather than information. In government as well as business, the CIO has become the driver of innovation designed to deliver better service or greater sales. The summit served as a bit of a matchmaking service, introducing CIOs to GIS-driven solutions from the start-up community and Esri. CIOs met representatives from startups that are creating the next generation of tools, services, and resources for solving tough problems and enhancing the lives of citizens. Executives from start-ups, like D4H, MindMixer, Recovers, RFSpot, RideAmigos Corp, OpenCounter, Sensimob, thrdPlace, Valarm, and WorkHands Inc., were on hand throughout the event. In addition to hearing directly from innovators, the summit hosted panel discussions about how business intelligence is improved by location analytics. Over two days, attendees listened to talks and panel discussions highlighting how GIS is helping drive innovation in established and emerging companies and government agencies of all types. Steve Ressler, founder and CEO of GovLoop, praised governments for the important work they do but noted that they must deal with increased demands for government services, staggering deficits, rapid technology change, and a retiring work force that is taking their expertise with them. Clara Brenner, Tumml cofounder, supports "urban high impact entrepreneurs" who address problems unique to cities. These developments in technology give governments opportunities to come up with new solutions that will enable them to cope with this changed landscape. Sea changes in technology, such as the marrying of sensors and the Internet of real-world devices, are making things happen differently. Now automatic texts warn of tsunamis and refrigerators that tell us when we are out of milk. Mobile devices are no longer just a way to consume information. They are changing the way we experience life. And at the forefront of this quest is the chief innovation officer, characterized by Ressler as "the free safety of government innovation." And GIS is powering many of these solutions. 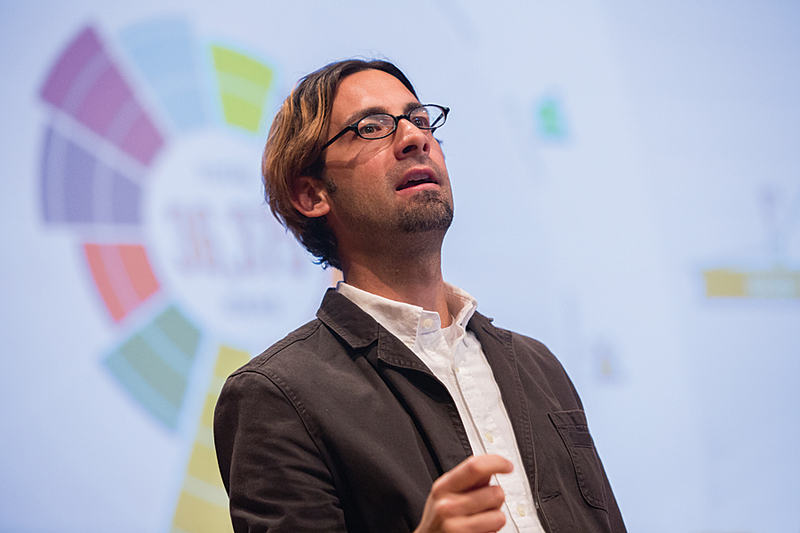 "GIS is in everything you do and just changing how we live," he said. As one the largest purchasers of technology, government is in a position to benefit from these advances in technology, particularly GIS technology. Jack Dangermond, president of Esri, in his talk noted that after 40 years, GIS is growing faster than it ever has. One reason for this continued growth is the human affinity for maps. Maps engender civic engagement. People use them to tell stories about disasters, history, where money is spent, and how climate is changing. Spatial analytics, as part of the burgeoning field of business intelligence, is taking off. "The ability to analyze one relative to another is very powerful, and people want that," he said. Also changes in technology continue supporting the adoption of GIS. Today's web GIS is not like the GIS that ran on mainframes, or later GIS on minicomputers then workstations, PCs, client/server, and then server. With each of these stages, there have been orders of magnitude in increases in usage. In the age of cloud and web GIS, "usage has gone from millions to hundreds of millions." In all these cases, GIS continues to deliver value in the context of making better decisions, improving communication, and driving efficiencies in every field. Government GIS is becoming an infrastructure for the other information systems in an organization. Some governments, like those in Abu Dhabi, United Arab Emirates, and Geneva, Switerzland, have their IT systems wrapped in GIS. Large corporations like General Motors, Nike, McDonald's, and Starbucks are also seeing their businesses spatially. Bruce Wong, manager of advanced network analytics for General Motors Company, described how an established and substantial company is using spatial analytics to better understand its dealer network. 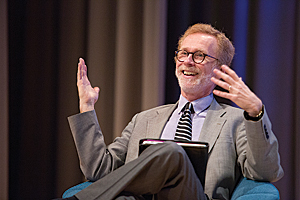 Thomas Fisher, dean of the College of Design, University of Minnesota, believes if we map our assets, we will realize the wealth of human, social, cultural, and environment capital cities possess that has the potential to solve many problems. During a panel discussion on community innovation, Esri platform adoption business manager Robin Jones sat down with Clara Brenner, founder and CEO of Tumml, and Thomas Fisher, dean of the College of Design, University of Minnesota, to talk about the work that is being done to improve life in cities. Brenner's San Francisco-based Tumml, a 501c3 nonprofit, nurtures what she termed "urban high-impact entrepreneurs." These start-ups provide products and services that address problems unique to cities. Tumml gives mentoring and seed money in exchange for a 5 percent equity stake in the new business. Tumml is looking for businesses, not projects. It funds companies like Airbnb, which facilitates home sharing, and Lyft, which enables ride sharing. HandUp, a crowd- funding platform for the homeless, is a Tumml alumni. It was named Fast Company's most innovative company of the day. Another company that got its start with Tumml was WorkHands, which has been described as a blue-collar LinkedIn. It not only addresses unemployment but connects workers and employers in the right place. This has become increasingly important as more cities mandate local hiring. Brenner noted that these start-ups need the right data to thrive. Often the right data is maintained on a regional or state level, not by a city. Access to the current data at the right level is vital to success. Fisher's institution does $800 million in research work. Right now, he feels the most important work his students are doing is in the invisible design world of systems, networks, infrastructures, processes, and procedures that relate directly to the success of organizations. He observed that we are living in cities designed around the needs of the second industrial revolution, which was based on mass production and mass consumption. That economy "is in its endgame." We are in a "phase change" as we transition into the third industrial revolution. "The way people live, work, and make things is going to radically change," said Fisher. Right now, cities are built to serve the needs of the people who run them, not the people who live in them. Opening up information to the public is a way to get processes and policies realigned to economic needs. He sees cities moving from rigid segregation of business, residential, and leisure uses to design that has people working, living, and playing in the same place. GIS, and specifically geodesign, are powerful tools that will help cities face the challenges of a new era. Fisher believes if we map our assets, we will realize the wealth of human, social, cultural, and environment capital cities possess that has the potential to solve many of these issues. "Innovation is both learnable and teachable," said Fisher. "Everyone can learn to be more innovative." GIS and innovation were recurrent themes in the Lightning Talks given during the summit by start-ups Recovers, MindMixer, D4H, and thrdPlace. Other start-ups in attendance were Valarm, WorkHands Inc., RFSpot, RideAmigos Corp., OpenCounter, and Sensimob. "I like to think that geography component really elevates governments into the 21st century," said Nathan Preheim of MindMixer. Recovers harnesses the good intentions of residents and others in communities dealing with disasters such as floods and tornadoes by connecting local needs with local resources and local government. In his Lightning Talk, Chris Kuryak, chief operating officer for Recovers, observed that when a disaster strikes, individuals first look to local government. Because local governments are not set up to handle a barrage of phone calls, e-mails, texts, and other communications from constituents, they can quickly become overwhelmed. This can result in little to no response from government, which squanders the strong but short-lived interest of residents to help out. Typically 70 percent of offers of aid are made in the first four days after a disaster. Even with no encouragement, many local groups will step in to help but may not know how to help or who to help. This lack of organization causes inefficiencies and frustration—a secondary disaster that retards recovery. Resources, a software company, steps into this void by helping communities prepare for and recover from disasters by coordinating relief efforts. It is currently in 24 communities in the United States and Australia. It maps everything a community needs to recover. All information goes into a secure database that is used to identify needs, assign tasks, engage volunteers, and gain insights where gaps are in preparedness so communities are prepared and recovery time is shortened. Esri new partner of the year MindMixer set out to reinvent the townhall meeting and capture great ideas. Nathan Preheim of MindMixer, formerly an urban planner, saw firsthand how traditional townhall meetings involved a very small number of citizens who have an inordinate effect. MindMixer believed that there had to be a better way to engage citizens. These days, the citizenry is online and texting and that is where they should be engaged. Preheim and cofounder Nick Bowden wanted to use technology to discover great ideas, gather valuable feedback, and measure impact. This cycle results in actionable data that lets governments make more informed decisions. Preheim refers to MindMixer as "a decision support service." Geography matters to MindMixer. Not only do they locate where participants are but also where they aren't and where efforts to involve citizens should be increased. "I like to think that geography component really elevates governments into the 21st century," said Preheim. DeKoven Ashley, the founder of thrdPlace, connected with CIOs at the summit. Headquartered in a lighthouse on an island off Ireland, D4H assesses the status of the equipment and personnel responding to a disaster and tracks incident trends and training requirements. The firm bills itself as experts in the right data when things go wrong. Its cloud-based system keeps tabs on the location and condition of equipment, the certifications of responders, and other data that is available on any device. Public safety personnel constantly create data but are not very good at capturing it. This is the very data that is needed to improve response. D4H helps capture and organize that data and makes it useful through decision-making tools that let users look at the data as a whole. D4H tools overlay geography with this baseline data so the best people and equipment for an incident can be more quickly dispatched. In the aftermath of Hurricane Katrina, the City of New Orleans and its community stakeholders had difficulty working to rebuild the communities. 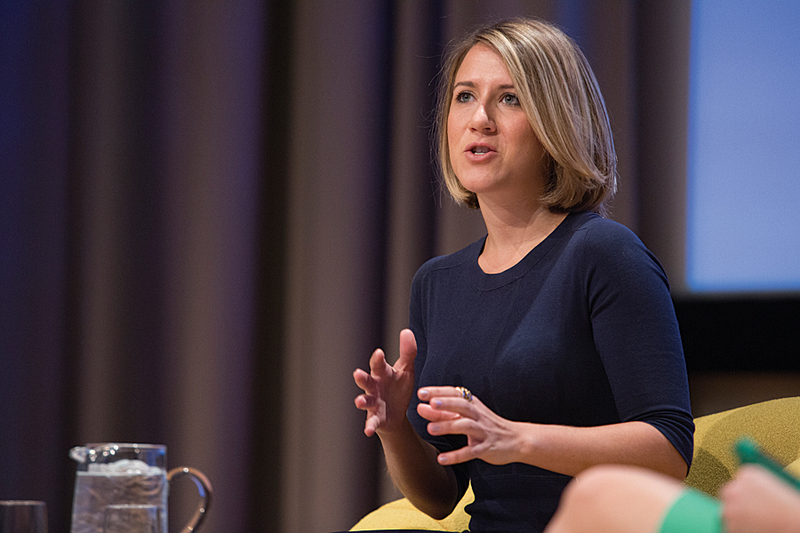 DeKoven Ashley, the founder of thrdPlace, was inspired to design a web and mobile platform that would connect for-profits, nonprofits, and governments and maximize, measure, and evaluate their community outreach and development. 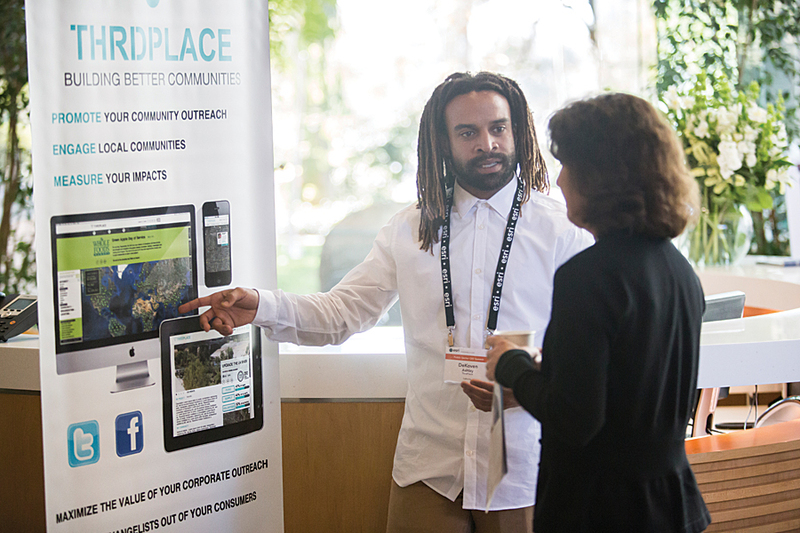 The ultimate vision of thrdPlace is to create global movements driven by local community outreach and development by becoming the online marketplace that connects the needs of communities with available resources across stakeholders.